It is easy to use as it is applied with a silent trigger sprayer, foams on contact & doesn't need to be rinsed off. It can be sponged or scrubbed onto pasterns, heels, frogs, soles & hooves. 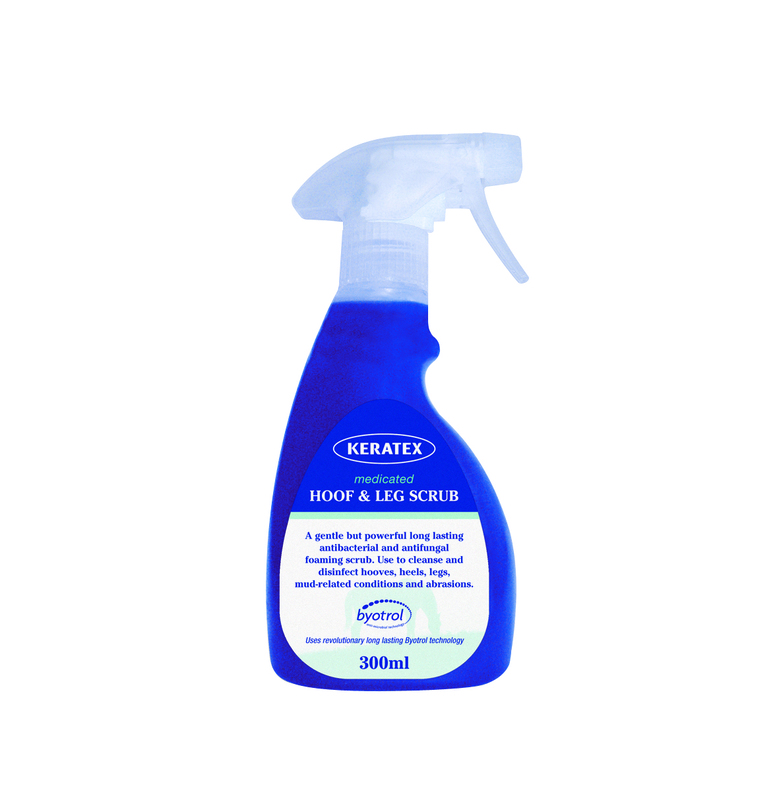 All Keratex products are British designed & manufactured.